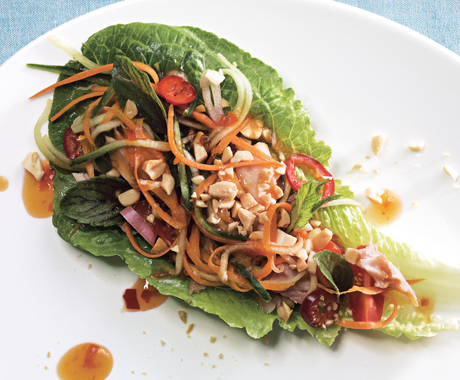 Lettuce wraps are a refreshing and healthy meal option. Here is a recipe that features smoked trout as the main ingredient. Given that it is less common to find smoked trout on the West Coast, I would guess it could be easily substituted by smoked wild salmon or smoked albacore tuna, and the wraps would taste equally good. (The Gulf of Georgia Cannery Store has some delicious local smoked fish options available).